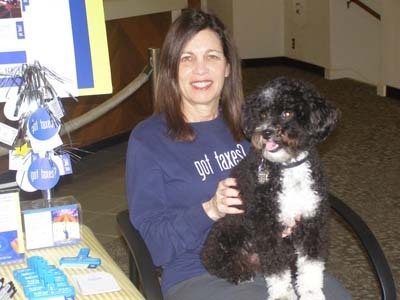 Barbara Ginsburg, is the owner of On The Coast Bookkeeping and Tax Service. She is enrolled to practice before the Internal Revenue Service, and has built up a clientele who come to her for tax preparation and bookkeeping. In addition, Barbara provides payroll services for small businesses whom she also helps tackle organization issues. She has practiced in the Bay Area for many years and has prepared taxes for various industries and occupations. Cameron Stewart is On the Coast's office assistant. He has been working with Barbara for the past five years. Bella can always be found at the office.